Sophomore guard Jayvon Graves goes up and under the rim for a layup. Graves finished with a double double in the 83-59 win. Families across Erie County hunkered down Tuesday night, knowing they would be greeted with over a foot of snow when they woke up. But the hottest seat in the house was in Alumni Arena, where No. 18 UB took down Ball State 83-59. 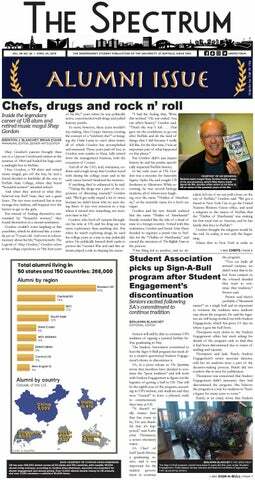 UB men’s basketball brought in record crowds over the past month without most of the student body on campus. Over 4,700 fans packed into Alumni Arena Tuesday with some being forced to stand along the railings. The Bulls, even in the polar vortex, were able to attract a rowdy crowd ready to see Buffalo win its 21st-straight home game. Students had their first opportunity to see the Bulls since Dec. 5. Eight weeks later, Buffalo brought in sold-out crowds over 6,000 twice. Students were lining up over an hour and a half before tip-off. The student section reached capacity with 40 minutes left until tip, as many were moved to the opposite side of the court. The Bulls garnered national attention and started to sell out away arenas. Canisius, Syracuse, Marquette and West Virginia all recorded sell outs against Buffalo. UB Athletics pushed for the increase in basketball attendance and expects to see crowds with standing room only as the new normal. Still, the credit has to go to the team and its performance, according to Senior Director of Marketing Elaine Russell. Buffalo has been building up its program for six years since Bobby Hurley and Oats came to coach. Winning Mid-American Conference titles three of the past four years and overcoming the hump of an NCAA Tournament win has led to increased enthusiasm for the team. But a blue collar mentality really sold Buffalo on the Bulls. Oats and his coaching staff traditionally wear shirts that are similar to ones mechanics wear, each embroidered with their names. The Bulls started selling similar shirts and they can be found throughout the crowd. Buffalo still has five home games left this year. The next home game takes place on Saturday, Feb. 9 against Central Michigan. The Bulls will also play rivals Ohio, Kent State and Akron all later in February. You can expect to see another 2,000 fans in Alumni Arena, Russell estimates. For senior guard CJ Massinburg, he’s just grateful to have a few more friends on campus.